Our summer break has been a blast! The kids and I have really been enjoying our wild Florida mornings and adventures! This summer, my kids and I are enjoying 3 weeks at my parents' house in sunny Florida. Our routine has been a long way off of our usual "normal" routine, but the boys are loving every second of it! I have to admit, the extreme change has been good for me too! I love visiting Florida and don't get down here nearly enough. Sunshine and saltwater are so good for my soul! Each day, before heading out on all kinds of fun-filled adventures, we all have breakfast poolside. We don't have a pool at our home, so this has been extra fun for the kids. It's been hard keeping them out of the water on the days we are heading out of the house! We've had a few lazy days, but most days we've had little excursions planned. Breakfasts have mostly been quick, easy, and delicious! This way we can get out the door at a somewhat reasonable time and onto the days activities! 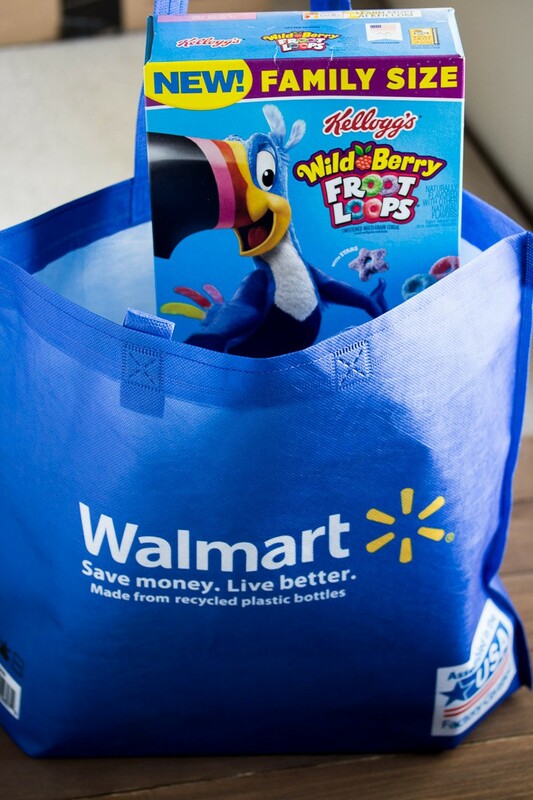 On our first day here, we went to Walmart to buy groceries to get us stocked up with our favorite foods for this extended stay. Walmart is my go-to for everything I need. I can easily find all my favorites, and the prices are the best! 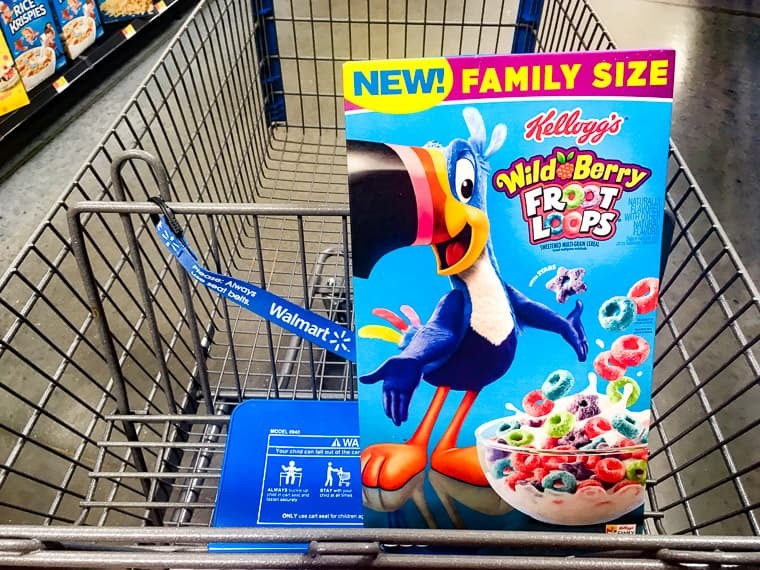 It didn't take long for my oldest son, Jaxon, to find the NEW Kellogg's® Wild Berry Froot Loops® Cereal, right on the shelf next to his beloved original Froot Loops cereal. My little guy does a really good job arguing why we should or shouldn't do things. He told me that we had to try this cereal so that we could all feed our wild sides while on vacation! Especially because we were going to be doing some wild activities, like holding alligators and other creatures! I mean, who could argue with that logic? 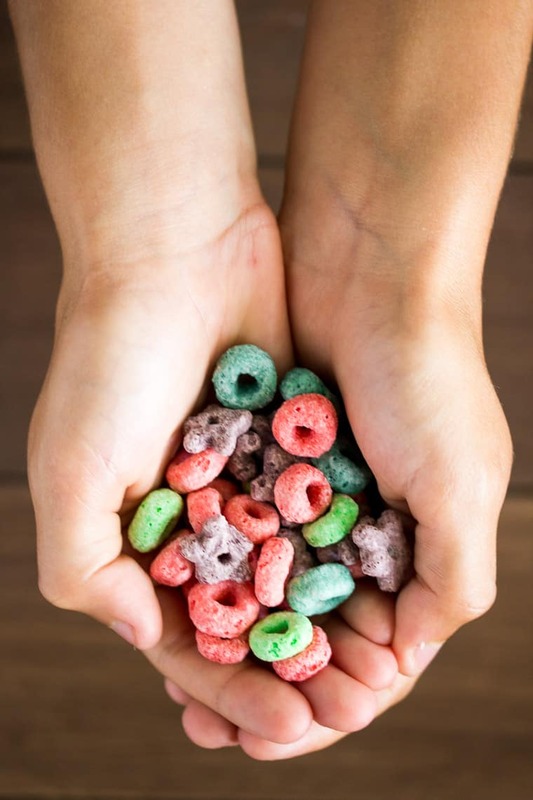 The first thing that I noticed about the Wild Berry Froot Loops® was how good it smells when I opened the box. Even my mom noticed the aroma as she walked by and asked us what smelled like berries! 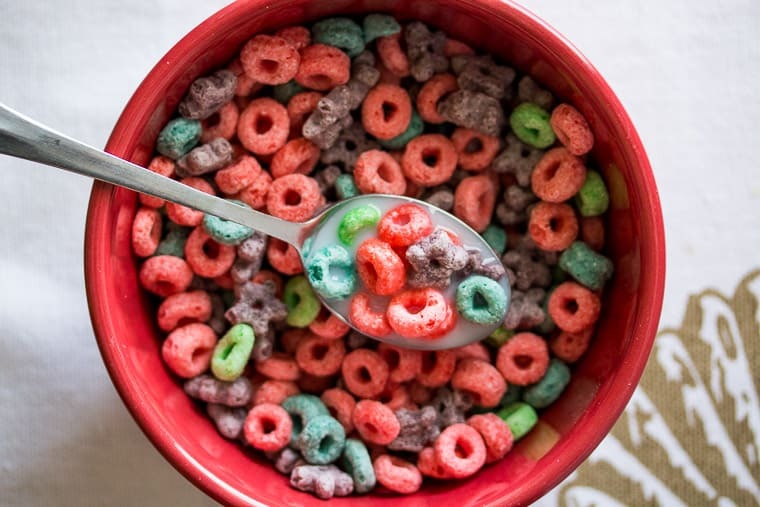 The flavor of the cereal is actually a sweet and tangy berry flavor—so good! 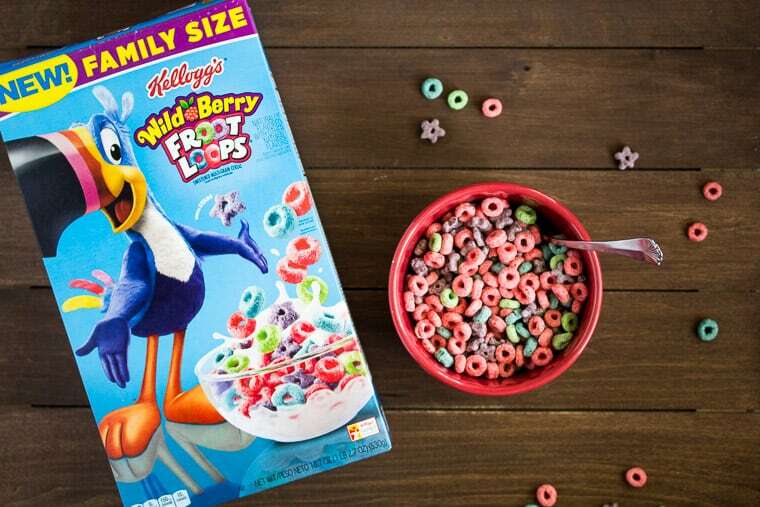 There are red, blue, and green circle shapes, but this cereal also has fun purple star shapes too! I have to admit, I've eaten my fair share of this tasty cereal, as well! This simple breakfast solution fits right into the more laid back summer mornings we've been having. It's also a tasty, easy snack to pack for the road trips to and from all of our adventures. On days we haven't spent the entire day poolside, we've headed out to all kinds of places! So far, we've been to an amusement park, sponge docks, the beach, antiquing, two different aquariums, and boating! And, we're just getting started! This could go down as the best summer ever! I'm pretty sure my boys would say so! 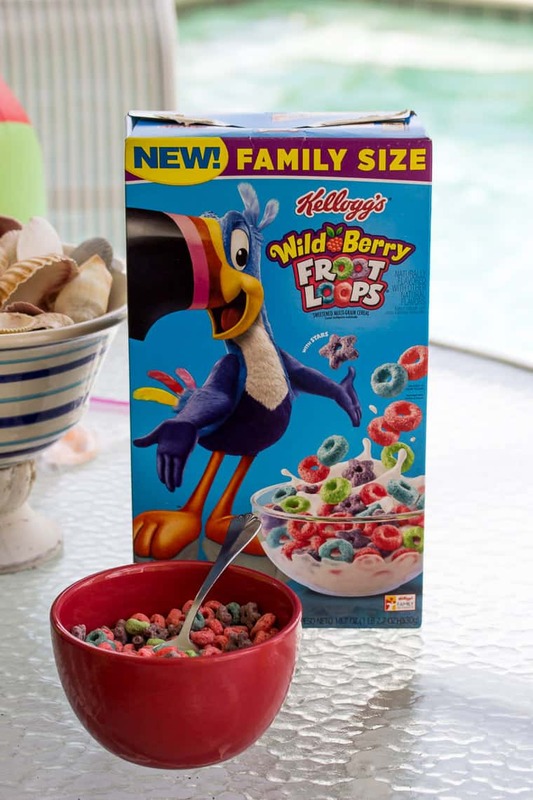 Interested in feeding your wild side with Wild Berry Froot Loops® as well? You can find them at Walmart!